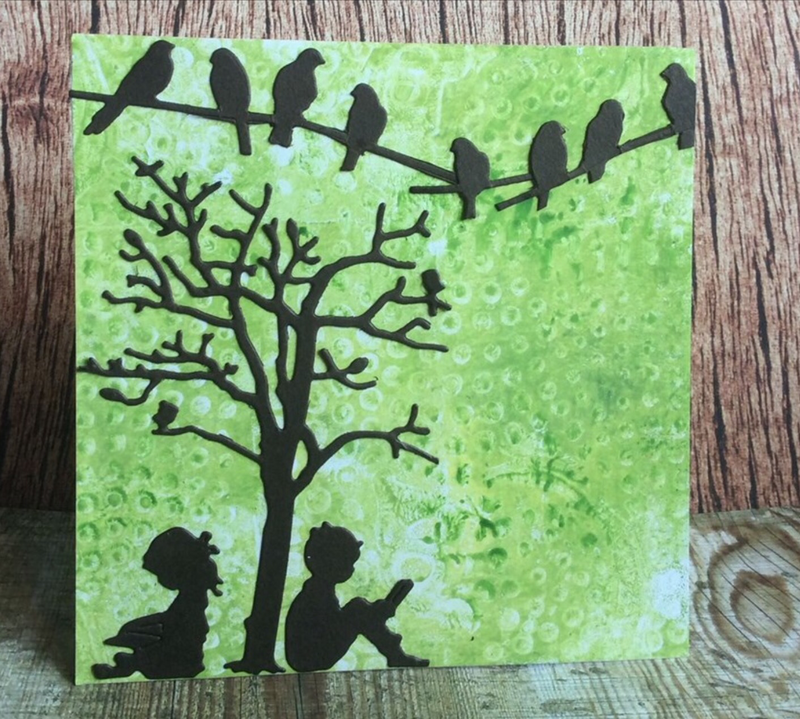 I used Coredinations card stock on this card, which was distressed with an emery board on the top layer. 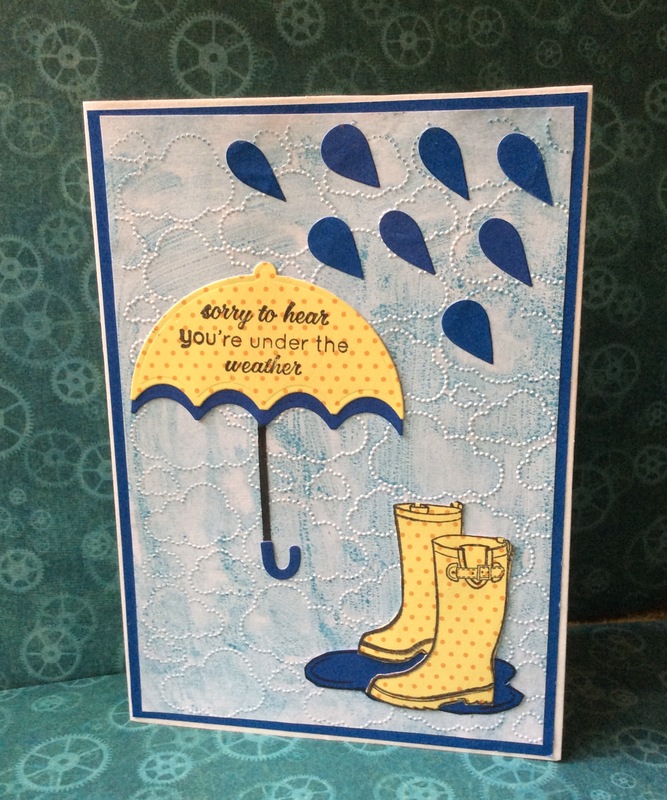 I love the way you can rub off some colour from this type of card. I embossed both layers of card, after using my brush dusters to ink them a tad. 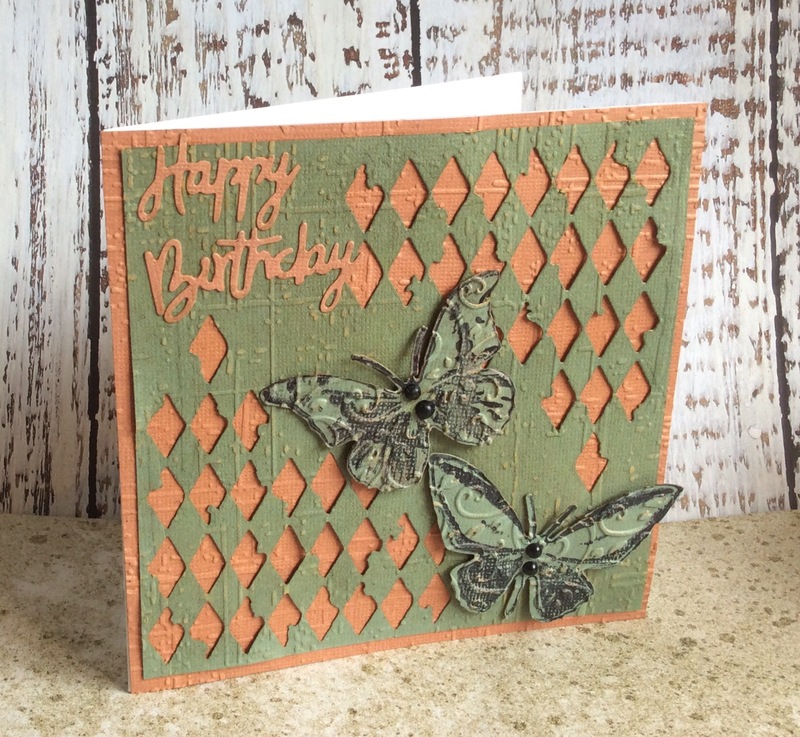 Added butterflies that are die cut, stamped and embossed. XCut butterflies and matching stamps. XCut words. I got these lovely dies from China on EBay where they sell the leftover amounts from big orders. I used a lattice die from my stash and the Papermania Simply Floral papers. The message die is XCut. Frustratingly, the spoon die pinged off of my plate as I cut it and despite looking high and low, its disappeared! Dont you hate it when that happens?! On the first use too! 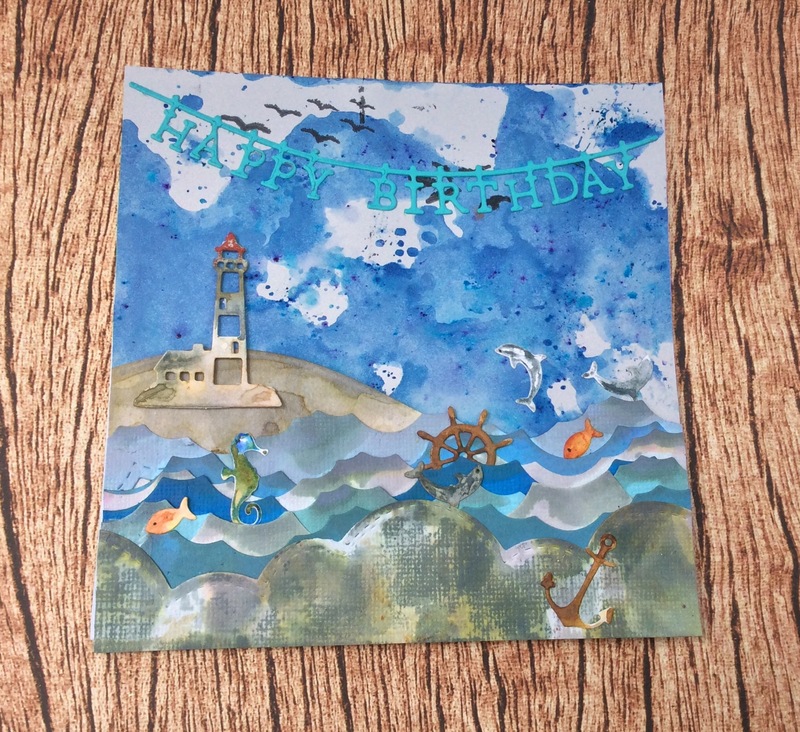 Seeing as today is my birthday and I’m going to be in Rock, Cornwall on a short break, I thought I would post this Seaside card to celebrate my birthday spent by the beautiful Camel Estuary! I have been buying various metal craft dies from China, either on EBay or Ali Express. Great dies at unbelievable prices! Anyway, I couldnt wait to use my latest set, and here is the end result. Used upside down cloud dies for the waves, and a hill die for the land. Used Brusho Inks as my sky background, and Distress Oxide Inks on all the other elements! And to finish, a Tattered Lace Washing Line Happy Birthday die. 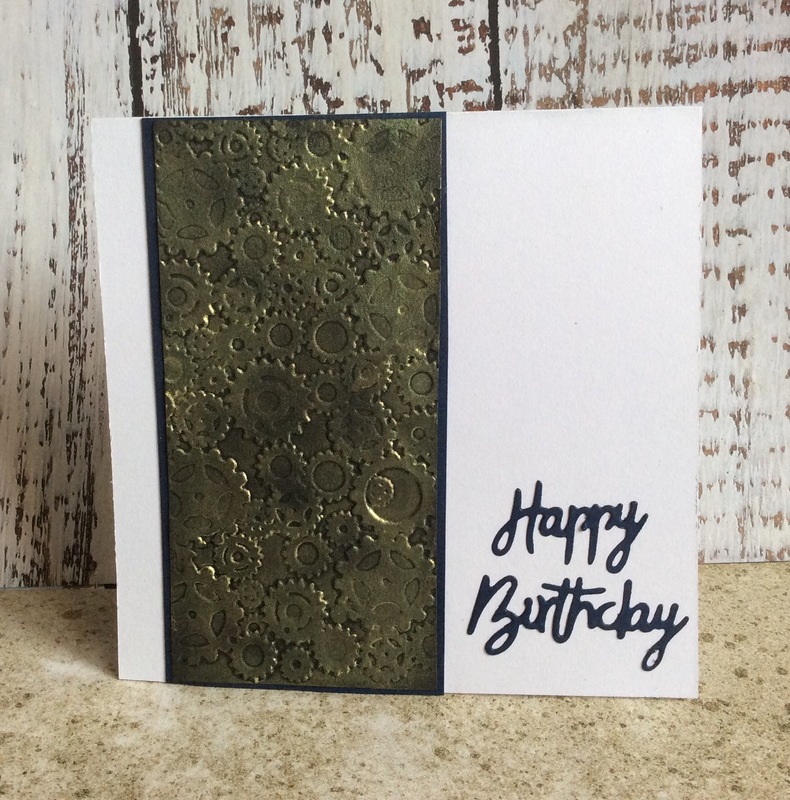 I embossed gears onto black card and used my trusty Treasure Gold to highlight the gears. 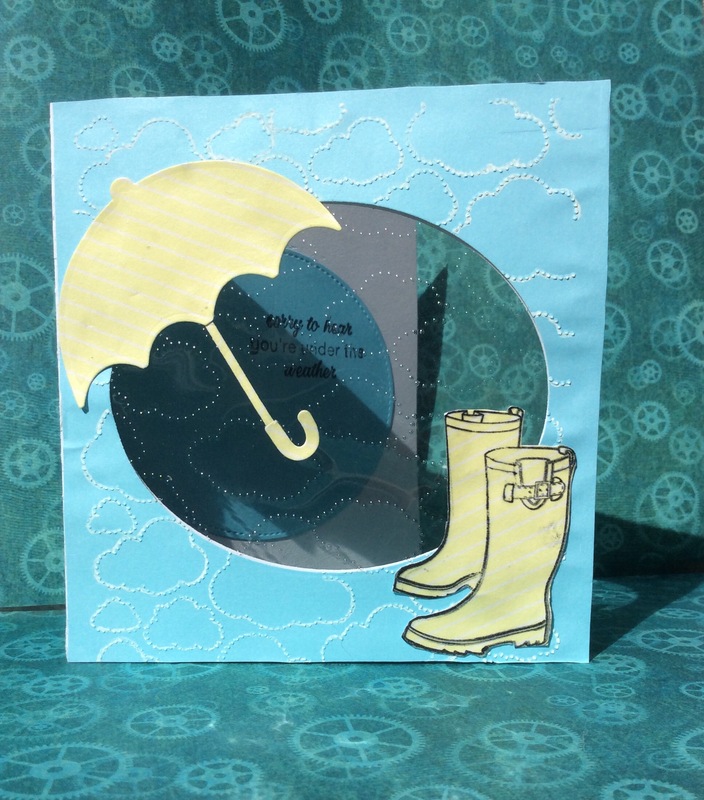 Layered with blue card and XCut words in same blue card. 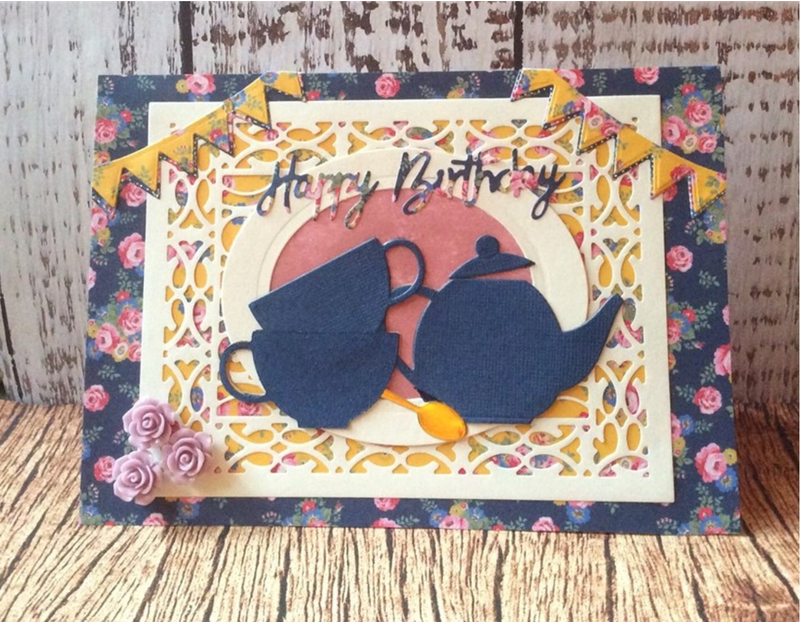 A quick card for a male friends birthday. 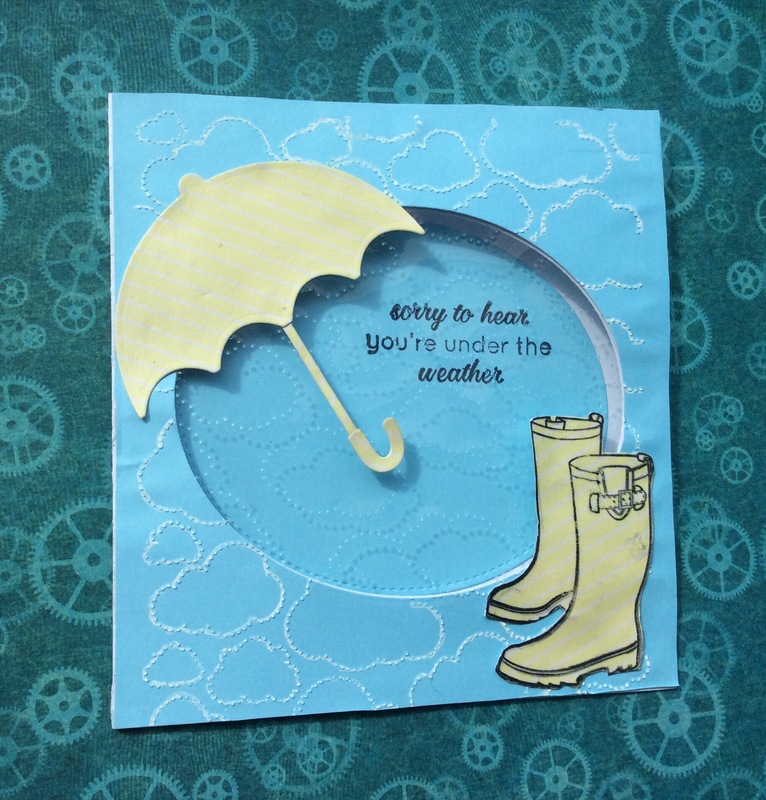 Just loving my clouds embossing folders, and I have some new weather stamps so here are a couple of cards I made. One is an aperture card with the clouds embossed onto the acetate and the other is a larger card. The umbrella and raindrops are dies. Love the way the print turned out here. All I had to do was add some die cuts and voila!